There's no denying that the media often isn't wholly objective and truthful in its coverage of news events. 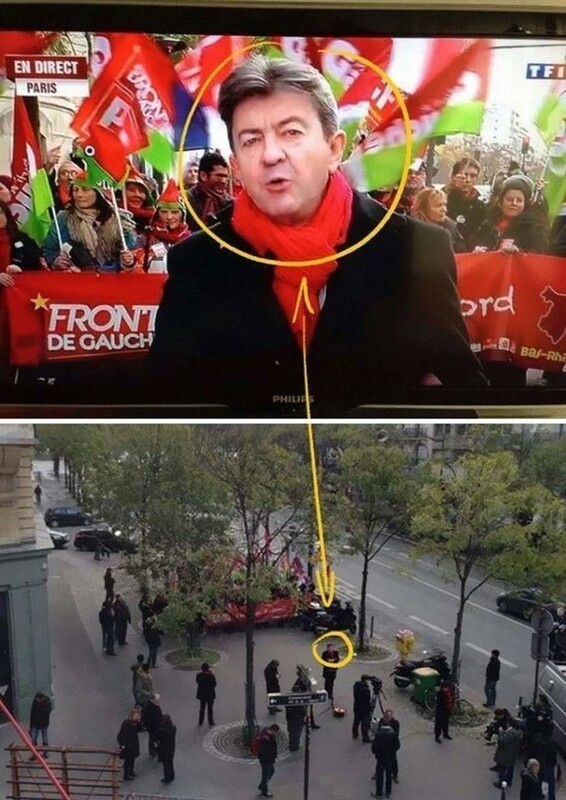 The photos you're going to see below show just how easy it is to manipulate people's perceptions of an event that's being covered for the sake of whatever agenda that the powers-that-be at a given news network might have. Take a look: An angle makes a world of difference. Creating the impression of strength in numbers for Hillary Clinton! This soldier looks like he was threatening the boy in the first image. It turns out he wasn't. 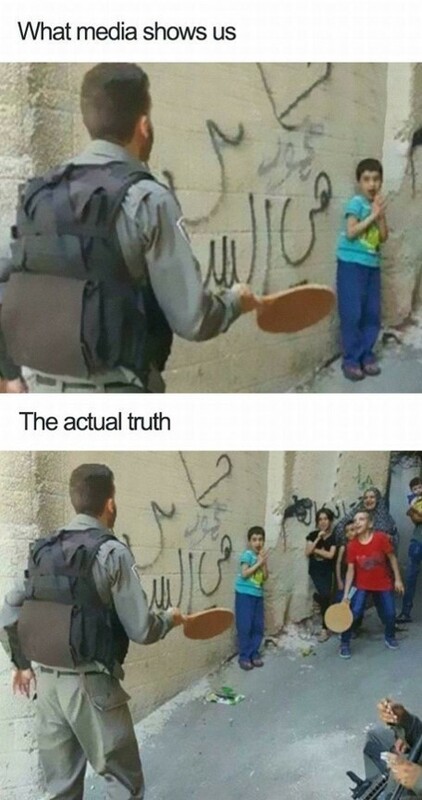 This photo was staged between photographers and a young Palestinian. 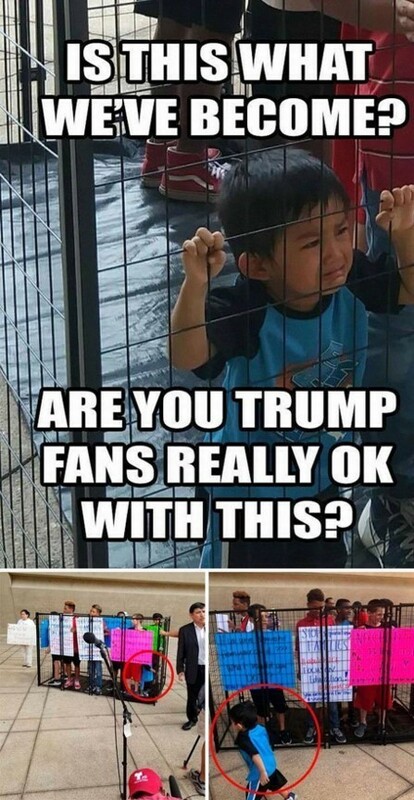 The kid in this infamous photo was participating in a pro-immigration demonstration. He wasn't even a detained illegal immigrant. 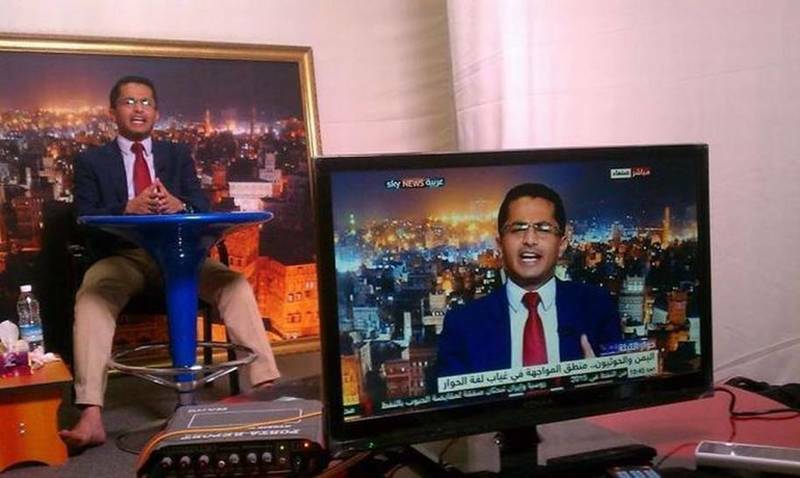 The camera was used to create the illusion of more people. 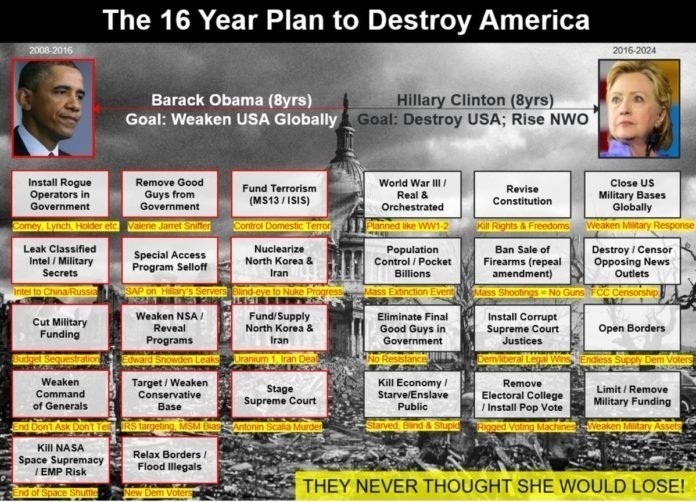 The globalist chart below pretty well sums up the Obama administration as well as Hillary's presidential plans if she had won the 2016 election. Glancing at the chart above may appear conspiratorial at first but a great number of these tag items have already been done or are in progress. For example, rogue operators have been operating in government as in FBI agents Strzok and Page. ISIS funding has been traced to NATO and hence Obama. There's no question that the Iran deal was the epitome of funding America's enemies. And Obama did a number of purges in the US military to weaken the command structure. Conservatives have been under attack by the media for some time and attacks heightened in social media censorship in recent years. There's little doubt that Obama's selection of Elena Kagan, Sonia Sotomayor were intended to move the court to the progressive left. And US immigration experienced an unprecedented flood of illegals including violent criminals under his watch. Hillary Clinton has already called for the end of the electoral college during her 2016 loss. The Clinton foundation has pocketed millions in their supposed philanthropic endeavors in Haiti. And Hillary made millions more in the Uranium One sale to the Russians. The Paul Manafort case is now in the hands of the jury — and, if the people at CNN and other leftist news outlets have anything to do with it, that jury could be facing some serious intimidation. According to Breitbart, CNN and six other news outlets have sued to obtain the personal details of the individuals who will judge the merits of the government’s case against the former Trump campaign manager. Along with CNN, BuzzFeed, Politico, The New York Times, NBC and The Associated Press have filed a suit requesting the details of the jurors, including their names and home addresses. Writing at The Federalist, Bre Payton noted that the request by CNN and other left-leaning outfits suggested there was more going on that simple journalistic pursuit of information. “I don’t feel right if I release (the jurors) names,” he concluded. That would be bad enough, but CNN in particular has a long history of intimidating people that cross them. Last year, they threatened to dox an individual who created an anti-CNN .gif meme. According to Breitbart, the network also doxxed an elderly Trump supporter who had promoted a pro-Trump event that may have been set up by Russians, leading to harassment and threatening. And then there’s the time, as RealClear Politics reported, that the network gave out George Zimmerman’s Social Security number. We could go on and on. Sometimes I wonder if Donald Trump knew what he was really getting himself into when he decided to run for president and drain the swamp. Everywhere he’s turned he has met roadblocks, opposition and betrayal as he tries to infuse policy he thinks will make America great again. And ever since he was accused of colluding with Russia to sway the 2016 election, the constant turn of events have played out like a bad daytime drama. The latest twist in the plot centers around Deputy Attorney General Rod Rosenstein, and if reports are true, he could be in a heap of trouble. On Saturday, Michael Goodwin wrote in the New York Post that Rosenstein ordered United States Attorney Geoffrey Berman to recuse himself from the investigation into the Michael Cohen case, which in turn would leave his office staffed with Obama administration holdovers from Preet Bharara’s tenure as Berman’s predecessor. Berman was appointed to the Southern District of New York position by President Trump after he fired Preet Bharara, an Obama appointee. Since his firing, Preet has made his feelings known that he is not a Trump supporter. 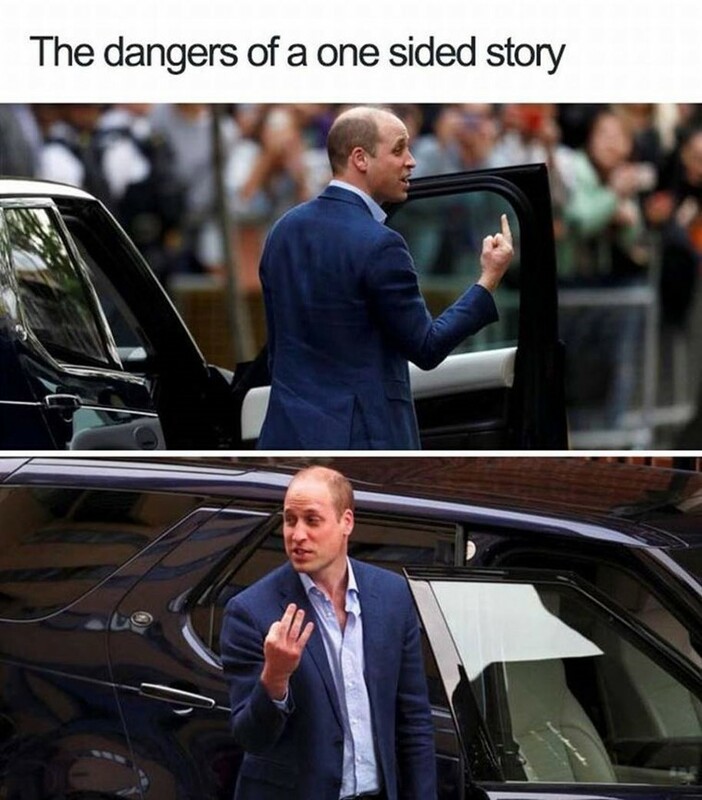 The bias is clear. Looks like the president made a good call on that one. Ronna Romney McDaniel, addressing the RNC at its winter meeting: Democrats "hate this president more than they love this country." Chris Strohm of Bloomberg reports the significance of this move as they allege the strings of this case are being pulled not by the Justice Department, but by prosecutors in the Southern District of New York. “Cohen’s guilty plea was secured as part of an investigation led by the U.S. attorney’s office in Manhattan, not by Special Counsel Mueller or Justice Department headquarters, another frequent target of the president’s derision. Instead, the deal was made by Robert Khuzami, deputy U.S. attorney for the New York office,” he wrote. “But neither Rosenstein nor Mueller is calling the shots for the investigation in New York, according to two people familiar with the matter. The U.S. attorney’s office for the Southern District of New York, commonly known as SDNY, has the independence to take investigative steps and charge people without approval from Rosenstein, one of the people said. To sum up the significance of this move, let’s just say that the SDNY is now driving the bus on any developing investigation into the Cohen case. While the Justice Department still holds oversight as all U.S attorneys still answer to Rosenstein, previously the SDNY has enjoyed independence of operation outside the U.S. Attorney’s office. And the lines of communication are open and free between SDNY prosecutors and investigators in Robert Mueller’s office. So, if it is true that Rosenstein intentionally moved the trial to SDNY, it might be more than a suspicious coincidence that a Trump-appointed attorney was ordered to recuse himself from the case leaving it to less-unbiased attorneys general. What a mess and an endless saga of betrayal. Trump appointed Jeff Sessions as Attorney General in February of 2017, only to have Sessions recuse himself from the Russia investigations in the beginning of March of that year. This left Rod Rosenstein in charge of overseeing the Russia investigations and he appointed Robert Mueller as Special Prosecutor in May of 2017. Since that time there has been no evidence of Russian collusion, but the Mueller team has bull dogged members of Trumps inner circle and charged them with various unrelated crimes. You can’t make this stuff up, folks. These latest allegations are almost a kin to jumping the shark for television sweeps week. I guess we will see who wins in the ratings race in November. Kansas Gas Corporation is back for another rate increase in just two years, Docket No. :18-KGSG-560 RTS The last one having been approved in 2016. KGS is a subsidiary of ONE Gas. ONE Gas Inc is another large conglomerate supplying Oklahoma, Eastern Kansas and parts of Texas where guaranteed levels of income are desired regardless of overall consumption. “The Tax Cuts and Jobs Act cut the corporate rate from 35% to 21%.. Utility companies are passing on the tax savings in the form of lower rates for customers,” – Americans for Tax Reform. But this phenomenon is apparently not true in Kansas where utility rates continue to rise. A $12.3 million decrease related to the deferral of potential refund obligations from the Tax Cuts and Jobs Act of 2017. So KGS admits revenues are up from a combined increase in Texas and Kansas but it’s NOT enough! There appears to be no end to KGS rate and new cost factor requests, the latest being the Kansas Gas System Reliability Surcharge which now is to include Cyber attacks. Why not include impact from the stock market impact in a cost factor as well? Requests for Kansas utility rate increases are a revolving door chiefly to guarantee satisfactory dividends to ONE Gas investors. The current KGS request increase is a 10% rate hike to consumers when inflation currently stands at 2.3%. Is there ANYTHING the rate payer is NOT being asked to fund? Where is the promise of lower rates to get the earlier rate increase approvals? Just lies as the market for gas has improved revenues rather than diminished them. Instead rate payers are asked to pay dividends of $3.35 a share. But why stop there? Why not $5.15 or even $10 a share? General Motors a for profit corporation is paying just $0.38 cents per share as of their 1st Quarter 2018 financial report: http://quote.morningstar.com/stock-filing/Quarterly-Report/2018/3/31/t.aspx?t=:GM&ft=&d=8ba56ee4bdd422dcb28a39f579bc9cda while Kansans are forced to pay dividends in the dollar range. WHY? Extraneous surcharges mask the true price users pay for gas services and in effect are automatic rate bumpers that increase consumer bills unfairly for such things as weather, reliability etc. It is an effective hedge against conservation. These charges are designed to keep utility bills from advantaging consumers by being too low. The KGS COG delivery charge is an example. In Sept of 2018 the service charge was 0.4 MCF at a stated rate of $3.85 per 1000 ft3. So the ratio of gas consumption to the charge for providing it is $16.70/$1.54 or 10.84 nearly 11 times the cost of the gas which illustrates my point. Now KGS wants to increase the delivery service charge from $16.70 to $22.66 which is $22.66/ $1.54 or 14.7 times the cost of the gas. The result is that KGS customers will pay nearly 15 times as much for the gas to be delivered to their home as for the actual gas consumed not to mention all the other ‘hedge factors’. The rest of the bill is local taxes. When service charges exceed the cost of a product by double digits the company is gouging consumers. Why do ONE Gas/KGS customers have to fund dividends at a higher rate than General Motors, #21 on the 2017 fortune 500 list despite a record federal tax cut? I seriously question the company’s claim that it has “experienced increases in payroll expenses and supplier costs” to justify their current rate request. These cost claims appear to be creative paper expenses towards the end of providing investor dividends. 102 other utilities have either decreased rates or ceased rate requests but not Kansas? The KGS rate increase is nothing short of rubber stamp legalized robbery. ’ Writer’s Group for six years, I prognosticated about the country’s future under an unqualified Barack Obama. His dynamic speeches inspired the nation, but failed to ignite a fire under him. Predictably, his two terms as president doubled our debt and welfare enrollment, sent race relations back to pre-MLK, while his naive "lead-from-behind" foreign policy became a joke to our enemies, and a death knell to our allies. Nice job. As if his tenure wasn’t destructive enough, Obama highly recommended Hillary Clinton as his successor. Hillary is an unscrupulous politician who has made a fortune on the backs of the taxpayers. As Bill Clinton’s "point woman" during the scandals that plagued them in Arkansas, she skillfully managed to keep him a few steps ahead of the hangman. Her public life (and Bill’s) has been one shameful scandal after another with recent breaches in national security, "pay for play" implications between foreign governments and the State Department, while lying to Congress. Her investment outcomes have been "miraculous," while record books and sometimes "Arkansas bodies" disappeared just like in an old B-movie mystery. 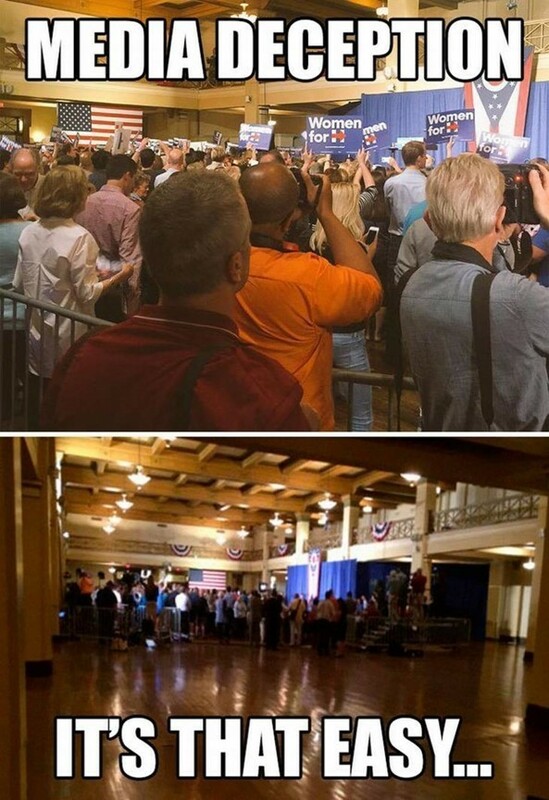 The difference is the Clinton who-doneit never ends ... and they’re never solved. Whitewater, File Gate, Travel Gate, Bi! ll’s impeachment and trial, a fistful of sexual assaults, Monica, Vince Foster, or why they were gifted a million-dollar New York home by none other than the current governor of Virginia. Then there’s the current FBI and IRS investigations into the Clinton Foundation. Move over Bonnie and Clyde. Donald Trump is not a politician but a businessman who turned his father’s $10 million dollar real estate company into a $10 billion empire. In his ascent, he honed his business skills alongside other powerful moguls like Helmsley, Blau, and Bloomberg, et al., not to mention savvy foreign investors from China, Russia and Japan. He has keen management skills and is a top-notch negotiator. Like him or not, Trump will re-establish America’s financial and production superiority to regain worldwide trade advantages. He’s a staunch supporter of law ! enforcement and is committed to modernize the military. He’ll allow companies with trillions offshore to repatriate that money with minimal penalties as long as the money remains in the U.S., to help pay for infrastructure investments and tax cuts across the board. His leadership and motivational skills will inspire Congress to reach impossible goals with precision, on time, and unlike before, under budget. For these reasons, regardless of his political missteps so far, I believe he’ll lead our nation from political correctness into an era of "Americanism." Most media outlets in their liberal bias criticize Trump for his gaffes and inexperience at campaigning, but admit he’s not a liar or a thief. He’s someone who will get much done, won’t speak in platitudes, and vehemently protect and defend the Constitution of United States, while never placing himself above the welfare and safety of this nation. Could you make the same claim about Hillary Cl! inton? Rich Panessa is a resident of St. George. According to Fox News, a newly uncovered text message chain seems to confirm that FBI lawyer Lisa Page — one of the two lovebirds whose texts have cast doubt on the objectivity of the Department of Justice’s investigations surrounding the 2016 election — claims that she interned for one of the Clintons. “Get inspired and depressing reading that article about how Obama approached the mail room,” Page said in a text to Strzok on Jan. 19, 2017 — the last full day of the Obama administration. The article she was discussing was a New York Times piece that described the kind of mail the outgoing president would receive. “At the beginning of his first term, President (Barack) Obama said he wanted to read his mail. He said he would like to see 10 letters a day. After that, the 10LADs, as they came to be called, were put in a purple folder and added to the back of the briefing book he took with him to the residence on the second floor of the White House each night,” the article, titled “To Obama With Love, and Hate, and Desperation,” read. Page is 39 and graduated American University in 2000. It’s unclear which Clinton she would have interned under; President Bill Clinton was leaving office as she was graduating and Hillary Clinton was taking her role as the junior senator from New York in 2001. Page declined to comment on the latest text. While the text messages that received the most attention this week involved ones which plotted leaks to the press, the Clinton message — assuming it’s accurate and Page is telling the truth — would also present a conflict of interest. Both Page and Strzok were involved in the FBI’s Midyear Exam investigation — the codename for the investigation into Hillary Clinton’s handling of classified email on a private server during her time at the State Department. “Strzok and Page both served on Special Counsel Robert Mueller’s team investigating Russian meddling and potential collusion with Trump campaign associates in the 2016 presidential election. Page served on the special counsel’s team on a short detail, returning back to the FBI’s Office of General Counsel in July 2017,” Fox News reported. So, is this a conflict of interest? More evidence of just how much of a morass the swamp really is? Overthinking a text message? Or none of the above? Well, the simple answer is that we don’t know, inasmuch as Strzok, Page and everyone else around them have tried to denude these text messages of all context. Strzok’s appearance before Congress certainly didn’t elucidate much, although it may have inspired plenty of GIFs. However, if this is true, Page was compromised from the beginning — and that’s a serious problem for anyone trying to push this as mere Jim Garrison-esque conspiracy theorizing. Time for answers, folks. 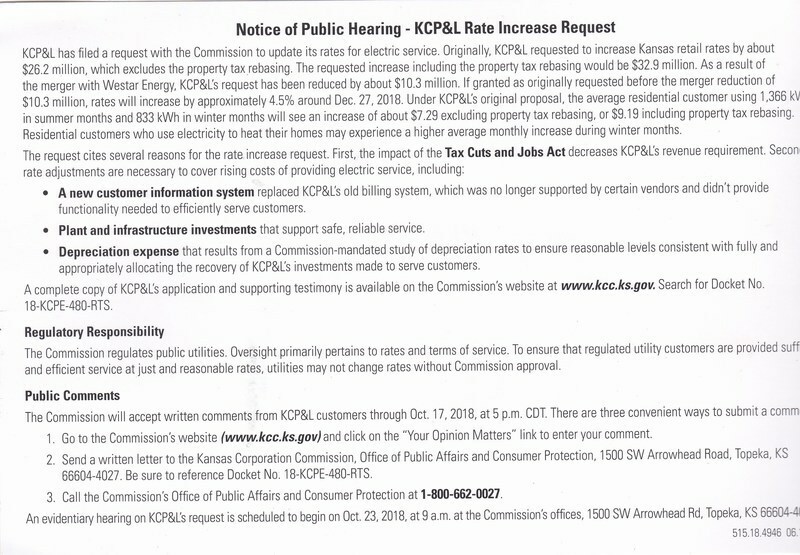 I received a card several days ago from KCPL notifying customers of another pending rate increase (Docket No 18-KCPE- -480-RTS) before the Kansas Corporate Commission (KCC). What is proposed for those using 1.366 kilowatt-hours in summer months or 833 Kilowatt-hours in winter will see a $7.29 per month increase excluding property tax rebasing and $9.19 per month including property tax rebasing. It’s approximately a 4.5 percent increase while inflation is only 2.9% that will go into effect Dec 2018. The KCPL 'justification' lists the Tax Cuts and Jobs Act as a reason for a decrease in KCPL's revenue requirement." The rate proposal sounds like an opportunity for the utility to cash in on the Trump tax cut and recover lost revenue from not being able to hire illegal aliens. Ratepayers should keep in mind that KCPL is part of not only Westar but Great Plains Energy also. Retirees and low income people will be hard pressed to pay the higher rates which should work well for cities like Overland Park who have the desire for upward development. What was promised from the first KCPL merger? KCPL has forced acceptance of their Smart meters which feature two way communications that would allow them to adjust their cost factors like ECA, EER at will. According to the Daily Telegraph Smart energy meters are giving readings up to six times too high, a study finds. You won’t get any credit from the utility, 5000 Utility Customers Class Action Lawsuit Claiming Overbilled 30% to 582%, you will have to sue. 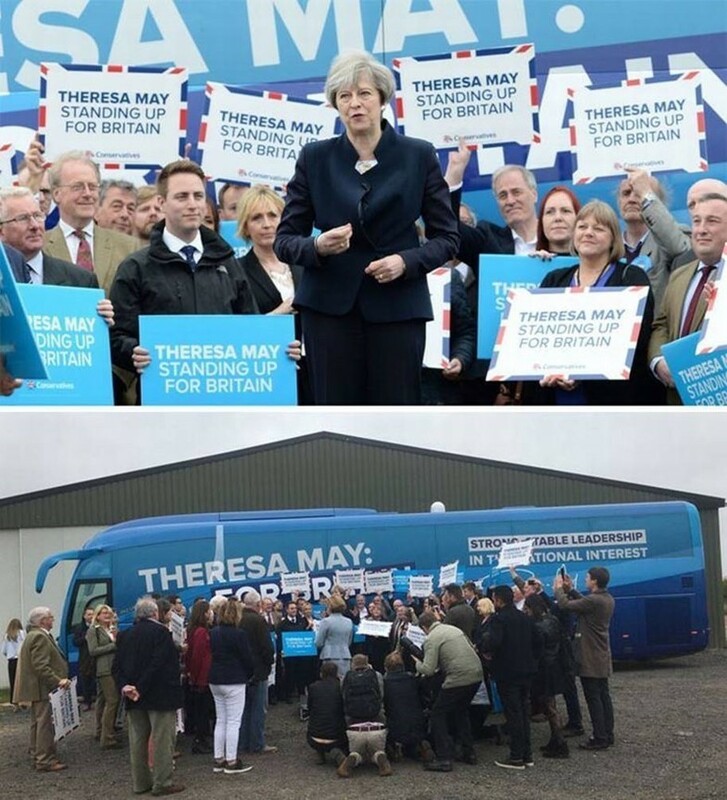 That promise didn’t take long to break, just nine years later they’re looking for another major increase. Don't think you can cut electric usage and save money, it just spurs further KCPL rate requests. The Topeka Capitol Journal further notes; “[Kansas Industrial Consumers Group, which represents large-scale energy users are] ..some of the biggest users of electricity in this state. And their rates, overall, are about 40 percent less than what you and I pay and other businesses pay as consumers. And those dollars, that rate decrease for them, comes directly out of our pockets. Somebody pays for the cost of the system." Please, utilities aren’t benefiting this industrial conglomerate out of their own pockets. The industrial group has negotiated a better deal based on the large quantities of power consumed. Lawsuit threats also help to swing a better deal which means the residential consumer is going to wind up paying. What was promised in the second KCPL merger? The goal of any energy conglomerate is to control supply as a regulated monopoly and to generate profits as stated in the MERGER TO FORM LEADING ENERGY COMPANY, January 2018 Investor Update. Great Plains is part of the Sustainable Energy program which includes the UN’s sustainable development program. The sustainability includes expensive wind power turbine purchase and use at KCPL’s Spearville location as a condition of not being sued by the Sierra club. By the way, KCPL has to pay the people who add power to the grid with their wind turbines which means consumers have to reimburse KCPL. Projected net savings from the investor update for the Great Plains Energy conglomerate were stated as 27.8 million in 2018, 110.3 million in 2019 and 143.5 million in 20120. But these saving were never intended to benefit consumers, they were promises made to the utility investors. So consumers will have to make good on those promises of investor returns as a condition of being a KCPL customer. It boils down to the ratepayer being on the hook for company ROI with the full blessings of the utility oversight board. The 3 member KCC board is made up of political appointments by the Kansas Governor. It’s a cozy opportunity for various consultants to make their way on to the commission as in the case of Michael C. Moffet, a Lawrence Kansas communications consultant appointed by then Governor Kathleen Sebelius. Consultants are not tantamount to citizen ratepayer oversight of a regulated monopoly and what do communications consultants know about utility management? The commission makeup is therefore less inclined to regard the complaints of ordinary citizens as in “the Kansas Corporation Commission denied a request to offer public comment [regarding injection wells in Douglas County at that hearing from a Mission Hills woman who has argued that the permitting process being used does not comply with federal rules under the Safe Drinking Water Act. No public comment is necessary even if federal laws are violated. You can ‘trust’ the respective companies to provide all the ‘necessary’ evidence. There is a petition for an independent audit to verify KCPL numbers claimed for the rate increase. For those of you who have had enough as I have please sign the online petition at online petition. When he appeared before Congress to explain his investigation into Hillary Clinton’s emails, former FBI Director James Comey assured America that his wizards had worked day and night to make sure that most of Hillary Clinton’s emails on Anthony Weiner’s laptop had been scrutinized before Election Day to make sure voters knew the facts. “And then they worked night after night after night, and they found thousands of new emails, they found classified information on Anthony Weiner,” Comey said. And so they found that most of it was “duplicates” and nothing new was being found. He assured us all that he had “reviewed all of the communications” and everything was kosher. Or as kosher as it was in the summer, when it wasn’t terribly kosher but you know, whatever. Case closed, right? I mean, that could be said about so much that’s Comey-related, but this is particularly interesting. So, firstly, as for that wizardry stuff: “a technical glitch prevented FBI technicians from accurately comparing the new emails with the old emails. Only 3,077 of the 694,000 emails were directly reviewed for classified or incriminating information.” That’s less than 1 percent. The day before? That’s not coincidental at all. It’s almost as if they were rushing to reach a predetermined conclusion which would never happen because James Comey is a man of honor. “Most of the emails were never examined, even though they made up potentially 10 times the evidence” that had been examined in the case which had originally “exonerated” Clinton, an official with knowledge of the investigation said. “Yet even the ‘extremely narrow’ search that was finally conducted, after more than a month of delay, uncovered more classified material sent and/or received by Clinton through her unauthorized basement server, the official said,” RealClearInvestigations revealed. It’s almost like Comey was convinced Hillary would win and didn’t want to do anything to jeopardize it. But it’s not like an FBI official would do something because he was convinced someone would win. No one of his stature would do that, though, right? “Even though the unique classified material was improperly stored and transmitted on an unsecured device, the FBI did not refer the matter to U.S. intelligence agencies to determine if national security had been compromised, as required under a federally mandated ‘damage assessment’ directive,” RCI noted. “The newly discovered classified material ‘was never previously sent out to the relevant original classification authorities for security review,’ the official, who spoke to RealClearInvestigations on the condition of anonymity, said. There’s a long list of Comey mistakes in RCI’s investigation, and it’s worth pointing out that RCI is one of the more objective sources that there is. What they point out is that Comey either misled Congress about the extent of the problem, was misled by his own staff or outright lied. This appears to come dangerously close to perjury, considering what we now know about the matter. What they did was simply disregard the investigation because they wanted it closed before the election, lest they be accused of negatively affecting Clinton’s chances for election.